We already had a first impression of some summer days but the season is starting very slow for the moment. 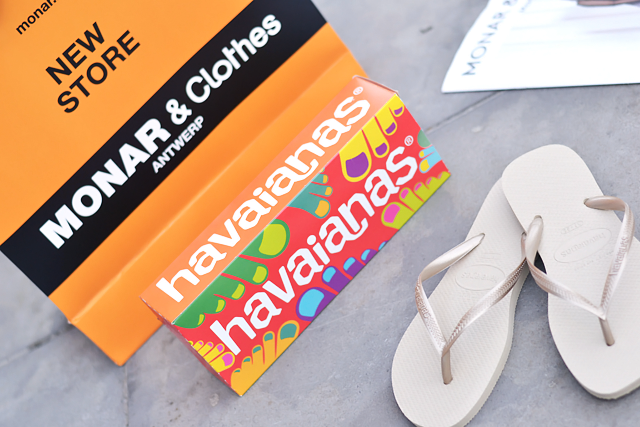 Luckily Monar & Clothes had the perfect solution for this by bringing a little piece of Brasil to their new store in Antwerp with an Havaianas party. 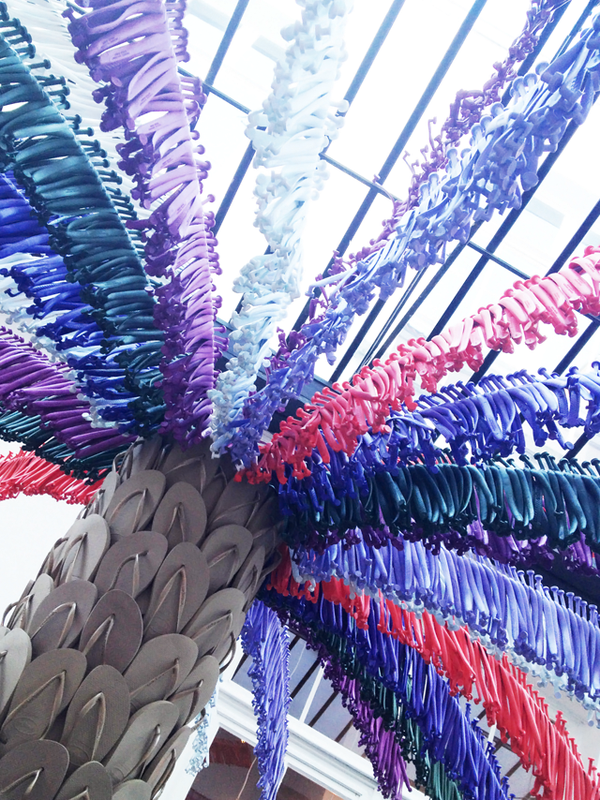 The decoration was just like a real Brazilian fiesta including a beautiful palm tree made of Havaiana slippers and even the drinks and food were on tropical style. It was a great experience to feel like I was on a summertrip for a while. 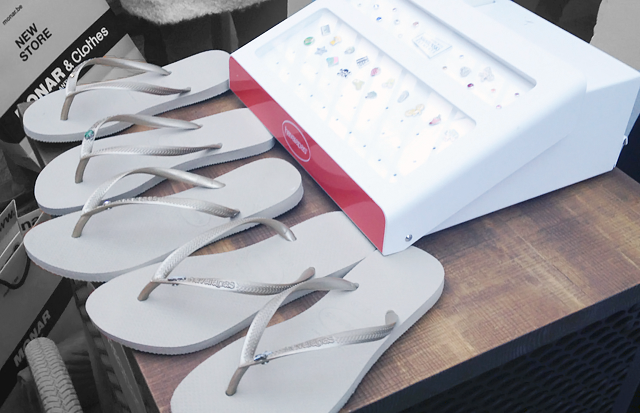 Of course summer trips can't be left with bare hands so we received or own pair of Havaianas and had the opportunity to customize them with a cute pin. 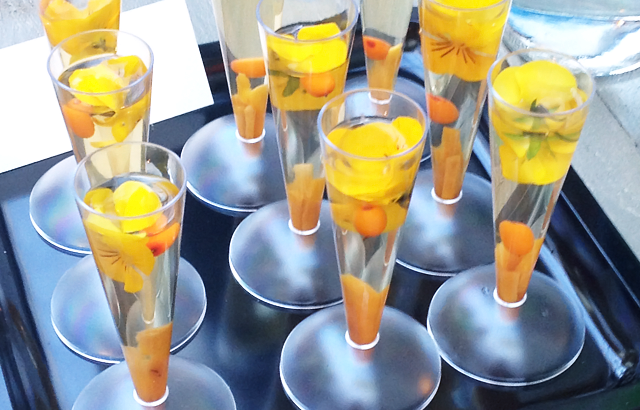 Now I'm only wishing more for summer to arrive ;) - Happy Sunday!